How is November over already?! We’ve had so much fun embracing all things festive on the blog this month, and we’ve picked our top nine tutorials from November ready for you to try! Whether you’re in need of some inspiration in the countdown to Christmas, or you’re just trying to catch up with your crafting, this is the place to be. You might also discover few treats along the way, in the shape of fab free downloads and templates for you to use! Every month with release a brand new set of papers that you can print off for free! For November we decided to go with a festive theme to help inspire your card making and DIY projects and also showed you some fantastic project ideas to make with these papers! Download our designs to see wonderful pages adorned with cute characters, gorgeous colours, adorable sentiments and a cosy knit design. November was also the month that we introduced you to First Edition’s stunning new collections, Beyond the Shore and Wanderlust. We really can’t wait to see what you’re going to be making with these designs! As we get ever nearer to the countdown to Christmas, Maxine showed us how to get into the festive spirit with our crafting by taking us through the steps to create a stunning advent calendar using First Edition’s Merry Little Christmas papers. Have you heard of the Painted Rocks craze sweeping the UK? We took to the great outdoors to give you some great design ideas. You can also find our DIY Painted Rocks video tutorial here. Maxine showed you the perfect way to store your precious memories with her DIY Annual Scrapbook Keepsake Folder tutorial! This month, we gave you another fantastic 3 Ways 1 Die tutorial, this time using the super cheery Dovecraft Snowman Die. Perfect for all of your Christmas crafting, Maxine took you through three ways to wow with this cute design! Elle Townsend took you step by step through this delicious tutorial for No Bake Chocolate Fudge, requiring just three ingredients! 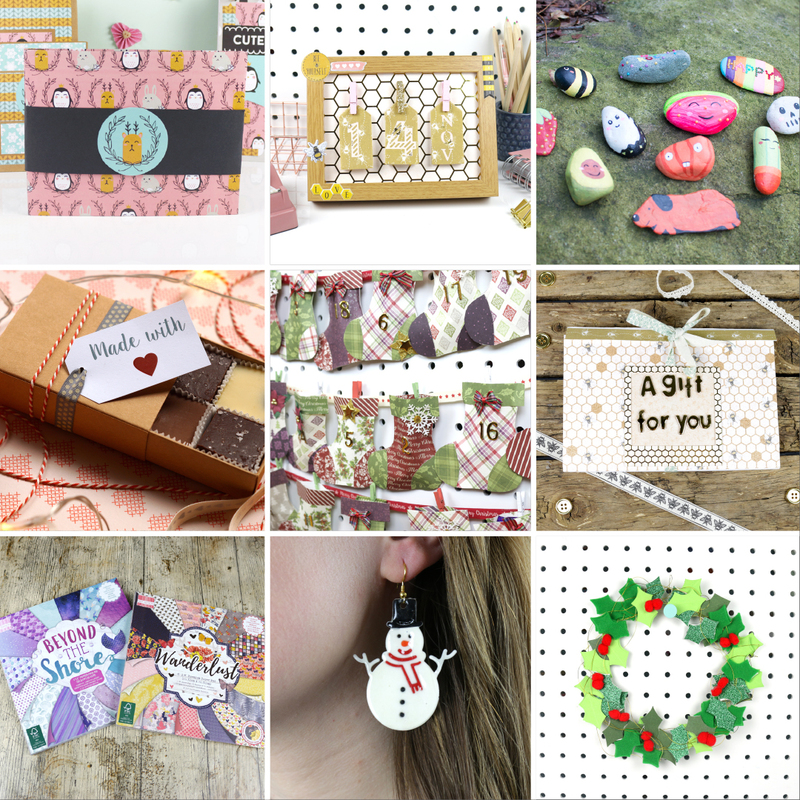 We also provided you with a free Christmas tag download sheet, making these perfect for gifting at Christmas. We gave you some Christmas décor inspiration by showing you how to make this stunning wreath design. We also took a look into our Christmas Past to see some wreath designs from previous years on the blog! Kathy gave us a great idea for a thoughtful Christmas gift! This Dovecraft Bee Happy Perpetual Calendar would also make a great addition to your desk – whether it be at work or in your craft room! Which was your favourite tutorial from November? We’d LOVE to see your versions of these crafts so don’t forget to #trimcraft when uploading to social media and to share your makes in the Inspiration area.